International research into why projects succeed or fail more often than not cites effective change management as the key contributing factor to success. A study done by Prosci found that projects with excellent change management stood a 95% chance of success (defined as meeting or exceeding project objectives). Given all the research from all over the world consistently tells us change management is critical to project success, how are we still getting it so wrong? Traditional planning processes (and attitudes) doesn’t necessarily lend itself to collaborative design practices. Even the growing prominence of Agile still misses the mark with effective change management. Agile promotes adaptive planning, evolutionary development, early delivery, continuous improvement, and encourages rapid and flexible response to change. While it sounds very promising, being born from ICT, change in this context is often than not directly correlated with technical change (ITIL). The people part of projects seems to still get lost in the need to deliver an outcome within time and budget. This isn’t that surprising when you consider that the methodologies and delivery frameworks which project teams are expected to deliver with simply don’t emphasise the need to plan and manage change from the beginning of the project. Many Change Managers will tell you that they are only engaged during or after the planning stage (if they’re lucky!) and more likely just before implementation. There is still a major deficit in project management training about the language and practice of change management, stakeholder engagement and effective communication. The Project Management Institute only introduced ‘Project Stakeholder Management’ as its 10th area of knowledge in the fifth edition of the Project Management Body of Knowledge (PMBOK) in 2013. Before then, much of PMBOK’s communication management focused on governance-based communication rather than stakeholder engagement. In fact, most of the main stream project management methodologies gloss over stakeholder communication and engagement, and overarching organisational change management. Under the Axelos P3 suite, change management is first mentioned at a programme level (Managing Successful Programmes [MSP]). Having programme level oversight of change is critical to ensure the overall programme objectives are achieve, potential change fatigue is managed and the communications are timed to get the biggest impact. Change also needs to be proactively managed at a project level, by the people who are across day-to-day of the project. 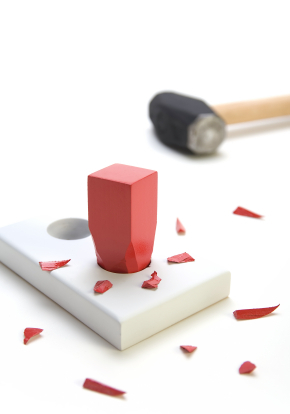 There’s a common misconception that change management doesn’t have formal processes, methodologies and frameworks–that’s complete and utter crap. Just because they are not written strictly for project management doesn’t mean they don’t exist and aren’t incredibly effective when contextualised for a project setting. It’s no different to how we contextualise our project methodologies for our clients’ organisations. I encourage you to check out Prosci’s ADKAR Model and its associated toolkit for change management. The International Association for Public Participation (IAP2) have a fabulous framework for engagement called The Public Participation Spectrum which translates into project-based planning beautifully. Best Practices in Change Management (2012 Edition) by Prosci found that the disconnection between project management and change management is a major obstacle to success. It followed on with saying the lack of consensus of how to integrate the two practices caused issues throughout the life of project; change managers often had difficulty involving and getting assistance from project managers. Actually it needs to work both ways. I believe that change managers need to have a working knowledge of project management methods and frameworks AND project managers need to upskill in the ‘black arts’ of change management and the frameworks that change managers use. There needs to be a common language. I’ve seen some amazing organisational design specialists come into project teams with mostly corporate experience—change is just change, right? They wade through a giant bowl alphabet soup of acronyms bouncing around that could be project speak or technology speak. Not having a language to navigate the environment can make it difficult to convey the critical role of effective engagement and change management practices. 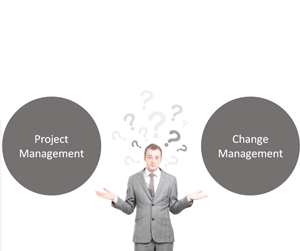 I practice as both a project manager (PM) and change manager (CM). I made the transition from CM to PM several years ago after leading change teams on large programs. It wasn’t going to be a big transition right? HA! Juggling the requirements of effective change management with the demands of an aggressive project schedule is a tough gig for a project manager (and the change manager by the way!). On the first project I managed as a PM, I’m sure I would have been committed into psychiatric care if people heard some of the conversations happening in my head! My CM logic battled with demands my PM was juggling and threatening to delay my schedule. CM and PM have completely different focuses; we need to start closing that gap because at the end of the day we are working towards a common goal. Understanding the key business change deliverables is a step in the right direction. Understanding how those deliverables are pulled together in the important next step for the change manager and project manager to take together. It’s much easier for a change manager to work collaboratively with the business to build the planning deliverables than making educated guesses or using single dimensional tools like surveys. Effective engagement and change takes time; time is a project managers worst enemy. Here’s something to consider…the study I mentioned earlier also found that projects will excellent change management are on or ahead of schedule 72% of the time. Initiating 13.1 Identify Stakeholders Identifies people, groups, or organizations that could impact or be impacted by a decision, activity, or outcome of the project. Analyses and documents their interests in and influence on the project. Planning 13.2 Plan Stakeholder Management Develops appropriate management strategies to effectively engage stakeholders throughout the project. Executing 13.3 Manage Stakeholder Engagement Communicates and works with stakeholders to meet their needs/expectations, address issues as they occur, and support stakeholder engagement. Monitoring & Controlling 13.4 Control Stakeholder Engagement Monitors overall project stakeholder relationships, adjusts strategies and plans for engaging stakeholders. It’s a reasonable guide of process. Something to consider is much of the ‘freezing’ new behaviours happen after project closure. PMBOK still doesn’t clearly define or discuss this. Axelos P3 suite maps change management to the programme level for this exact reason; however, programmes finish at some point as well. It’s critical to establish and nuture a strong change champion network through the life of the project so that they have the skills and tools to continue to foster the new behaviours when the support framework of the project or programme is no longer there. At the risk of over simplifying change management, let’s map some common change management frameworks/models against PMBOK Stakeholder Management process. It’s important to remember that just like project management processes, change management frameworks are not necessarily implemented in a linear way. The frameworks provide a guide of what behaviour you should aim for at each stage of the project. If you expect stakeholders to be ready to accept training and be ready for go-live, there is ground work that must to be done before you start rolling out training. Some stakeholder groups will move at a different pace to others. This needs to be proactively monitored and plans will have to be adapted to accommodate the needs of the stakeholders. I don’t think that all of the traditional change models map perfectly to our project methods. I do know that it’s possible for both practices to work in powerful collaboration when there is a common understanding and respect for both practices. I believe that we need to develop a new project methodology to create a common language and integrates the learning from modern project management with change management.